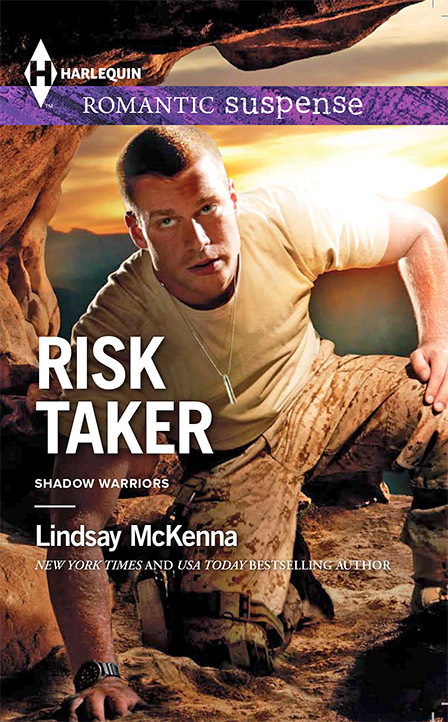 February, 2014, Harlequin Romantic Suspense by Lindsay McKenna. This is book 1 of 2. It is a sequel. DEGREE OF RISK comes out March, 2014, Harlequin Romantic Suspense. Don’t miss these two books! I rarely write sequels, but it looks like 2014, I wrote 2 pairs :-). One is for Harlequin Romantic Suspense (above) and the other two pairs are for HQN. All are from the Shadow Warriors series. Everything about RISK TAKER and DEGREE OF RISK, the 2-book sequel, was different and entirely unique to anything I’ve written before. But that’s what happens when the magic occurs and the author becomes powerfully and deeply into an alchemical process that can never be explained by words alone. It was interesting to see what happened as I began writing RISK TAKER. I got so deeply involved in the story of “Blue Eyes,” as she is called by the men at FOB Bravo in Afghanistan, that I knew 75,000 words just wasn’t going to scratch the surface of Medevac pilot, Army Chief Warrant Officer Sarah Benson’s life, her trials, challenges and her incredible courage and strength. I also knew that because Sarah was badly damaged as a child and she’d fought her way out of it, that only a very special man would ever be able to dissolve the walls that protected her heart. Her distrust of men is so deep. She’s tired of being hit on at the FOB. Sarah doesn’t see her own beauty, her glacier-blue eyes, or her passionate spirit to be a medevac pilot who makes a difference in men and women’s lives hanging in the balance. But the men of FOB Bravo see her only in a sexual content, covet her and want her for only one thing. She remains an untouched citadel, one of seventy-five women on the base of one thousand men. A challenge that every man picks up. Sarah’s whole being is wrapped up being a Medevac pilot. She’s damn good at her job, a chief pilot, and has seen a lot of combat in Afghanistan in the last seven years. 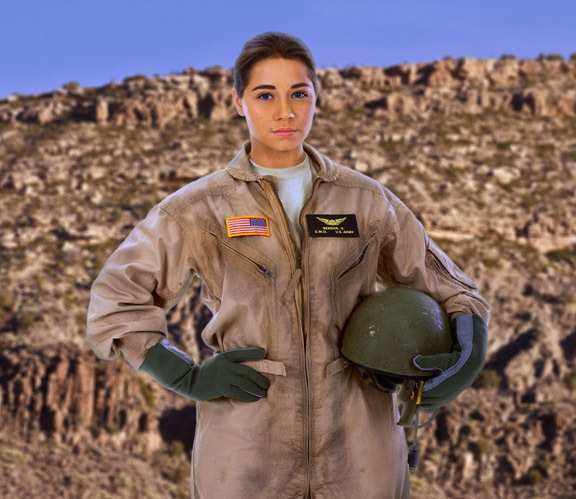 Her life revolves around braving dangerous combat conditions in order to fly in and pick up wounded men and women during firefights. She never endangers her crew or medics, who worship the ground she walks on because she’s passionate about saving lives like they are. She’s garnered the name “risk taker” in her medevac squadron because she’ll fly her Black Hawk through hell to reach those on the ground who are going to die if she doesn’t find the courage to land and pick them up–giving them a chance to live against all odds. Sarah, who was in a life-and-death situation as a young girl from age six through twelve with a foster family, cried nightly for rescue. But it never came. Now, she’s in control of her own life and she’s turned this nightmare experience into something positive. She might not have ever been rescued from her personal, ongoing hell, but she can rescue those who are wounded and crying out for help now. Sarah has turned her life inside out in the most positive of ways. Her crew she flies with, thinks she’s an angel. Her commanding officer hates her because her helicopter comes back riddled with bullet holes, shattered Plexiglas windshields and it costs the squadron its budget bottom line. Never mind that she and her courageous medics have saved men and women’s lives on the battlefield. Those wounded will live to go home to their loved ones, to their wife, their children and families. Petty Officer Ethan Quinn, US Navy SEAL, is a straphanger assigned to the SEAL platoon based at FOB Bravo. He’s been there three weeks and he’s heard of Blue Eyes. She’s part and parcel of the myths that float around an FOB among a thousand horny men. The things he hears about her do, indeed, sound mythic. He’s never seen her, but those that have, rave about the color of her eyes, hence her name, Blue Eyes. And the stories that circulate alongside her beauty and eyes is her iconoclastic reserve where she allows no man near her. She’s single, the stories go. She sits alone at the chow hall or with other women pilots, but never with a man. When she’s in the canteen, she sits alone. If an interested male wants to buy her a drink, she gives him a glare and warning to leave her alone. CWO Sarah Benson, will brave enemy fire to rescue men or women caught in combat and are injured. Growing up, no one came to rescue her from a hellish foster family. And she’s damned if these brave warriors are going to be left to bleed out on the Afghan soil if she can help it. She might never have been rescued as a child, but she can rescue these heroes and save their lives. Ethan isn’t your typical SEAL. He keeps part of himself hidden from his SEAL brothers because if they found out that he wrote poetry, they’d never, ever let him live it down. The ruthless, constant jibbing about a SEAL writing poetry, would ride roughshod on Ethan and he knows it. His mother was an English teacher. She taught her three children from age six onward, how to speak, write and read Latin. She was an accomplished poet with a number of books published. Ethan, the oldest, got his mother’s poet gene. She gave him a journal at age seven and taught him to write his thoughts and his feelings down in it. He urged him to sketch and put drawings in there, too. Ethan joins the SEALs knowing he has to keep this side of himself top secret. Poets have no place in the alpha male world of SEALdom. Ethan has finely developed skills in people watching and understanding, thanks to his instructive and insightful mother. He sometimes wonders if he hadn’t been so attracted to the SEALs and adventure, if he wouldn’t have been a psychologist, instead. He utilizes these skills every day with brother SEALs, with the stressed Afghan villagers and when necessary, with enemy Taliban prisoners. He’s a complex man with many layers to himself. One thing he has found out in his years as a SEAL, is he has to dump his emotions somewhere. The things he experiences, the horror of what he sees, is too much for any human being to carry. Ethan learns early on that allowing one’s emotions to run him, could get him or his brothers killed. SEALs were taught to put it into a “kill box” and never open it up to feel the horror of their experiences. To feel is to be distracted. To be distracted is to be killed. For him, his journal becomes his kill box. When his brothers ask what he’s doing, he just tells them it’s kind of a daily diary of his life that someday, he’ll give to his children so they understand what he did in the Navy. Everyone buys his somewhat honest explanation, and wanders away. For Ethan, getting those feelings out on paper is essential to his well being. He can’t stuff and ignore his emotions like the other men. It’s a positive and healthy outlet for him. It helps him be a SEAL and still be able to offload his feelings without becoming stoved up by the toxicity of suppressing them in a deep, dark corner of himself. CWO Sarah Benson with Petty Officer 1st Class Ethan Quinn, US Navy SEAL. Both stationed at FOB Bravo. Sarah is saved by him when attacked by an Army sergeant. She wants nothing to do with men for good reason, but Ethan seeks to find a way through those walls she’s put up. Known on Bravo as “Blue Eyes,” she’s every man’s dream come true. The color of her eyes is a legend at the FOB. But Ethan wants more than just her outer beauty. He wants to gain her trust to gently hold her heart. These two characters came to me and got my full, undivided attention. They were fascinating, heroic people and I was absolutely swept away by their story. And their story took more than one book. That is why I penned the sequel, DEGREE OF RISK. Ethan isn’t your typical SEAL type of warrior. He’s not a type A wolf, but a beta wolf. He doesn’t have to be an ego-busting warrior. Rather, he utilizes his inner warrior to be just as good, and sometimes, better, than his alpha male brothers. He has insight, a lot of patience, a laser-like ability to perceive people’s emotions and why they do things the way they do. Within the platoon, he is a vaunted Communications expert, even at calling in the heavies, the B-52, and directing them to drop their bombs. He has confidence to burn along with intense focus. Nothing rattles him in a firefight and he’s been in many of them. And brother SEALs like it when he’s leading their team because he possesses an almost uncanny, psychic ability to ferret out the enemy and also use it during a firefight to save lives. It’s easy for Ethan to be an introvert because he is one. Many of his brothers are extroverts. He chooses quiet over bedlam. He needs to be alone to reorder himself to remain in balance and be the best he can be. In the opening scene of RISK TAKER, Ethan accidentally meets the mythic “Blue Eyes” at the canteen. Only, he knows from all the constantly circulating stories about her, that he doesn’t dare approach her. As he comes in off a long, 12-hour patrol, all he wants is a cold beer to wash the Afghan grit and sand out of his throat. Until he spots Blue Eyes sitting alone at a table in the corner, nursing her own beer. He sits down at another table, and he senses the aching loneliness around her. And when he sees her briefly lift her head, his heart is slammed with yearning for her. He was born in Alaska and seen glacier calve all the time. The color is unearthly and yet, that very same color is in Chief Benson’s large, beautiful eyes. Now he understands why every man at the FOB wants her for his own. What happens next? Well, you’re going to have to either down load the Ebook or order the paperback. I guarantee you, it’s one hell of a story. Two very unique people in a very dangerous environment. Both are lonely. Sarah distrusts men completely. Ethan is stunned by her beauty and that haunting sadness around her. She is off limits to men. But Ethan doesn’t see it that way. He is patient and he watches her obliquely, beginning to register nuances about her on every level of himself. Now, all Ethan needs is a chance to meet her. 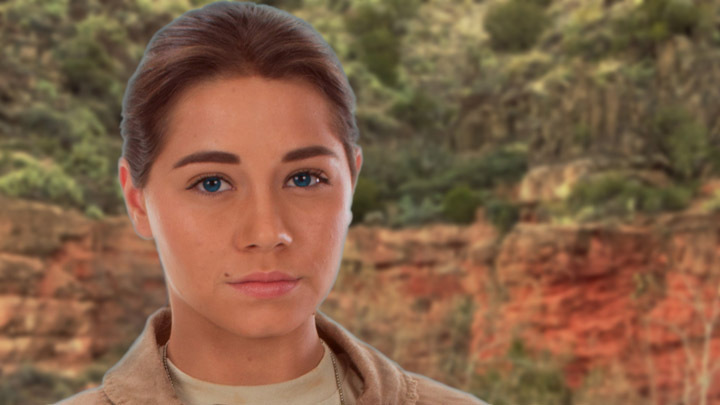 DEGREE OF RISK, March, 2014, places Sarah in an enemy valley, far from any help. Everyone at FOB Bravo thinks she’s died in the Black Hawk crash. All except Ethan and the SEALs mount a rescue to find out if she’s alive or not. And when they find proof she’s still alive, they will move Hell to find and rescue her. Sarah is on her own, a .45 pistol to protect her against the Hill Tribe leader, Mustafa Khogani, Taliban, who knows she’s alive. And when he finds her, she is going to be sorry she’s alive. LINDSAY MCKENNA January 2014 EBOOK RELEASES! 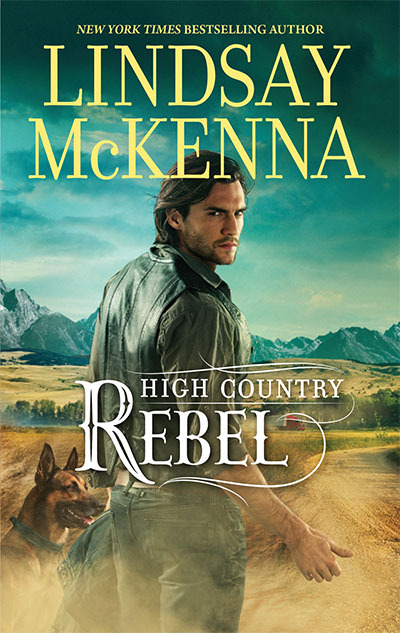 eBook schedule release of Lindsay McKenna’s first thirty books written for Harlequin starting in 1983. More information will become available at http://www.harlequin.com as the publishing eBook dates approach. Or you can always go to my website for a lot more info at: http://www.lindsaymckenna.com. Captive of Fate by Lindsay McKenna is the FIRST military romance written for the Romance Industry. She created this thriving sub-genre. Alanna went to Costa Rica to meet Colonel Matt Breckenridge with all the wrong motives. She had been sent to expose him, but in the end she exposed only her own heart, her own vulnerability where he was concerned. She fell in love with the arrogant colonel, though she had no hope that a man of war could understand the softer emotions. Even so, she dared to dream of a lifetime in his arms, and dreams of love have a way of coming true. 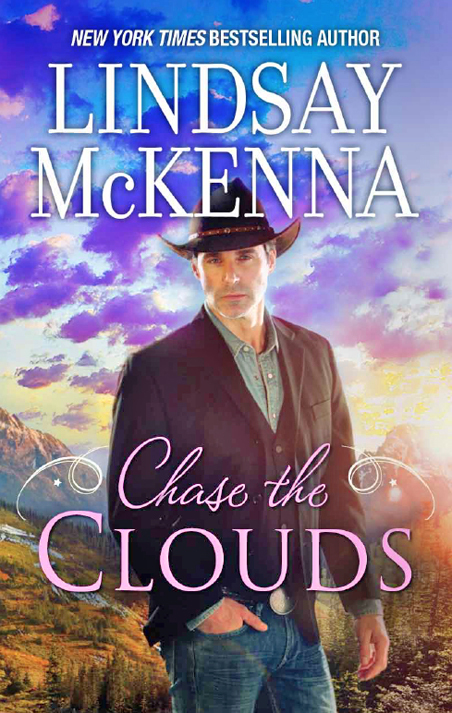 Chase the Clouds by Lindsay McKenna brings in her experience and knowledge of horses. Sam Reese always got his way. When time came to collect on a debt, he didn’t care whose toes were stepped on. He might be as stubborn as one of his own untested stallions, but he knew the value of a man’s promise. 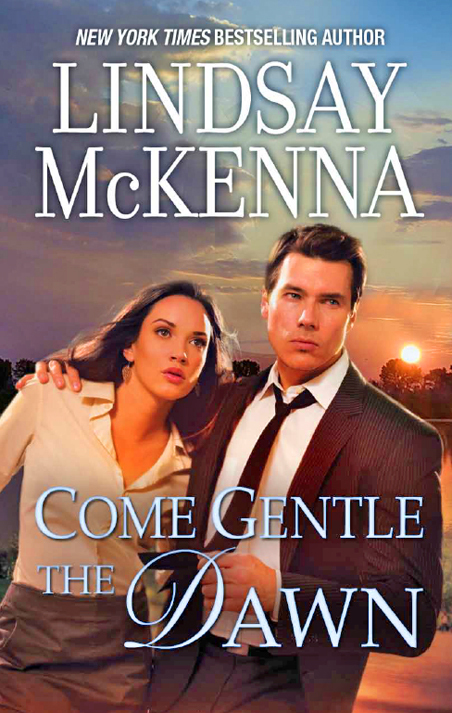 Come Gentle the Dawn by Lindsay McKenna incorporates some of her experiences as a volunteer fire fighter. ANOTHER NIGHTMARE OR A DREAM COME TRUE? Though weary and frightened, hazardous-materials technician Brie Williams could still spot danger, and her rugged new partner seemed to be it. Did Linc Tanner’s macho facade hide chilling threats…or enough warmth to heat her senses to a fever pitch? If only she could trust him…. Brie Williams was Tanner’s toughest assignment. Without blowing his cover, he had to expose the shady dealings that had killed her former partner. Brie’s aura of aching vulnerability made him want to bare his very soul to her, but he had to keep silent. If he conquered the darkness surrounding her, only then would their love shine like a glorious dawn. 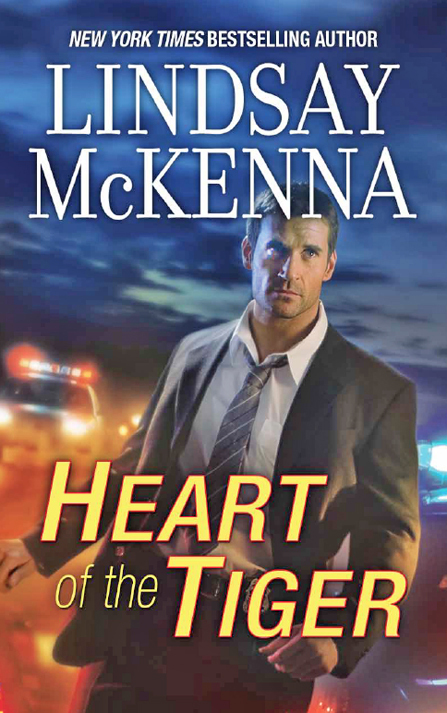 Heart of the Tiger by Lindsay McKenna is about intrigue in the South China Sea and incorporates her experience and knowledge of Hong Kong and the surrounding areas. Language expert Layne Hamilton had vowed never to have anything to do with the CIA again. Not when “the Company” had taken so much from her. But unlikely Company man Matt Talbot was very persuasive, arguing Layne was the only one who could help them. And if she didn’t, people would die. But the mission held its own dangers, and tested the limits of Layne’s courage, faith, passion and ultimately…her belief in the power of love. 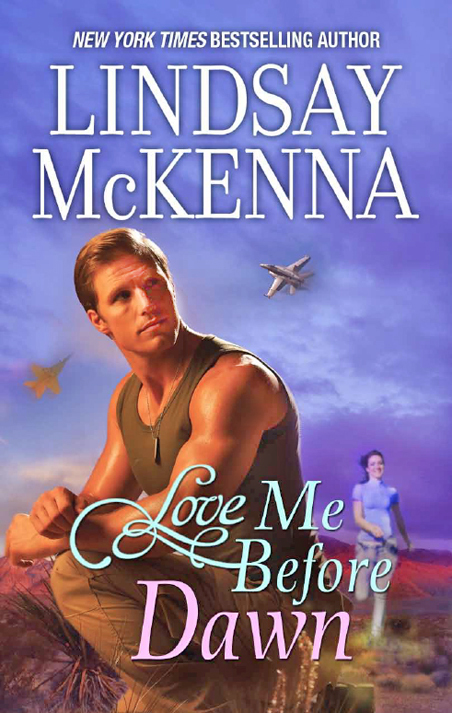 Love Me Before Dawn by Lindsay McKenna incorporates her experience as a civilian pilot as well as seven days of research at Edwards Air Force Base. She also flew in a “chase” plane during a test flight over this desert base. She interviewed test pilots as well as pilots going to Test Pilot School at this base, for this book. Tess Hamilton met Shep Ramsey under purely social circumstances, but it was a matter of national security that provided the real basis for their relationship. Tess was working on a prototype airplane, and Shep was the man chosen to test its wings. For months her work on the plane had obsessed her, but now Shep had entered her heart and she was facing one frightening fact: If there were even one mistake in the plane, the man she loved would forfeit his life.